Native Alexandrians are a proud sort. 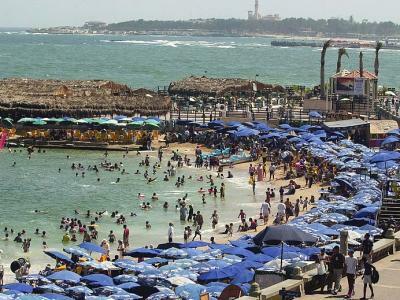 Blessed with the open sea as their backdrop and alive with a traditionally polyglot and cosmopolitan community, Egypt’s second-largest city has never settled for second-best. Even so, Alexandria has always lived in the long shadow of its former glory as an ancient cultural and intellectual epicentre, and later, as a hedonistic expatriate playground. 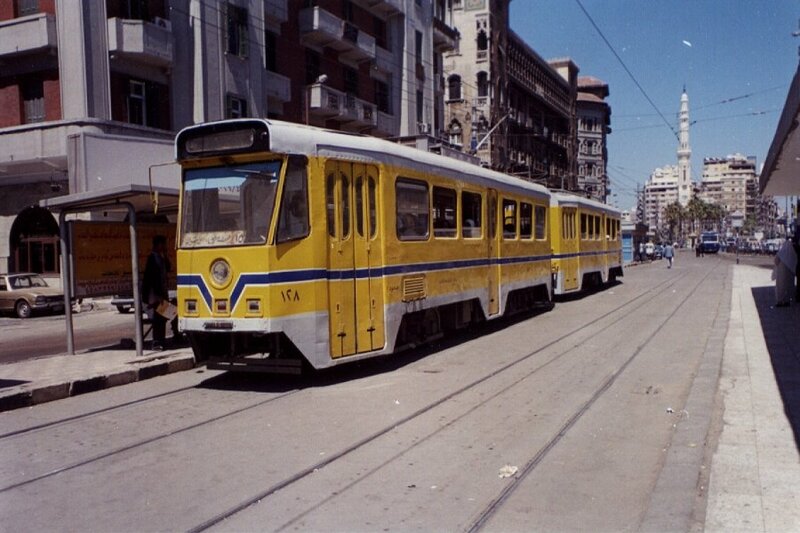 Today, the city is most often evoked as a holiday spot for Cairo residents seeking relief from the brutal summer heat, and in relation to ongoing discoveries associated with its rich Graeco-Roman history. 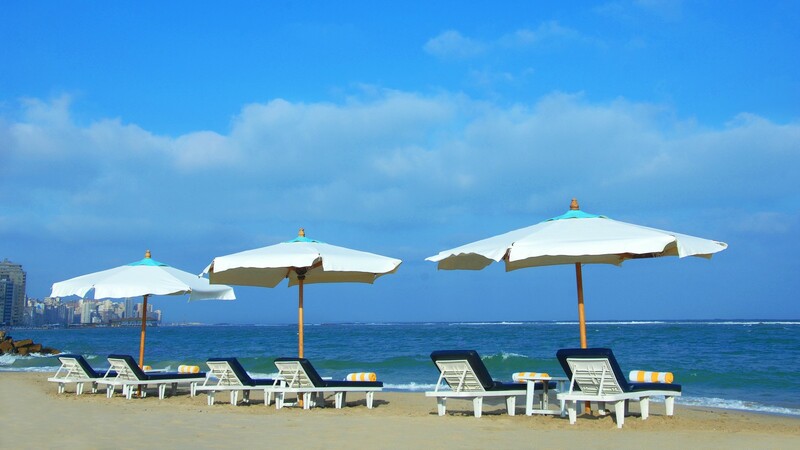 As a travel destination, however, Alexandria is really best appreciated in the winter, where the pace of life marches on unaffected by the glut of summer weekenders. 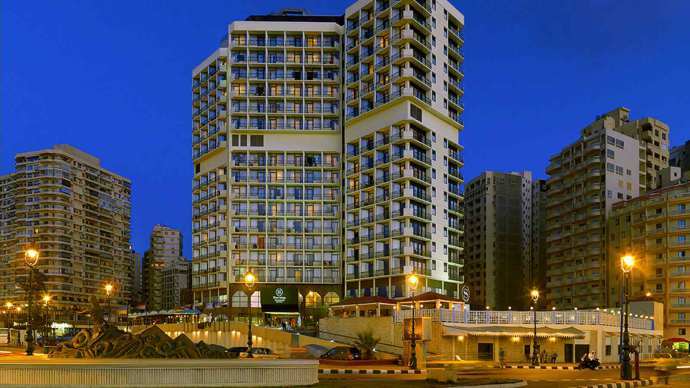 Vigorous, sweet sea breezes and a brisk but embracing chill await you in Alex this time of the year, along with a markedly different milieu from fast-paced, egocentric Cairo. But this was just what I was hoping for when we set out from Cairo and headed out along the so-called Desert Road. I hadn’t come this way for quite some time and as with so many trips to fast-developing tourist centres, I was astounded by the difference from the days when the appellation was more apt. Then the road was desolate, traffic-free, and truly barren, with nothing on either side of the road but sand and a few hills. There were no petrol stations, virtually no service to speak of, and only one place to stop — a cafeteria called the Rest House, located halfway into the journey. Today the “Desert Road” has turned green. 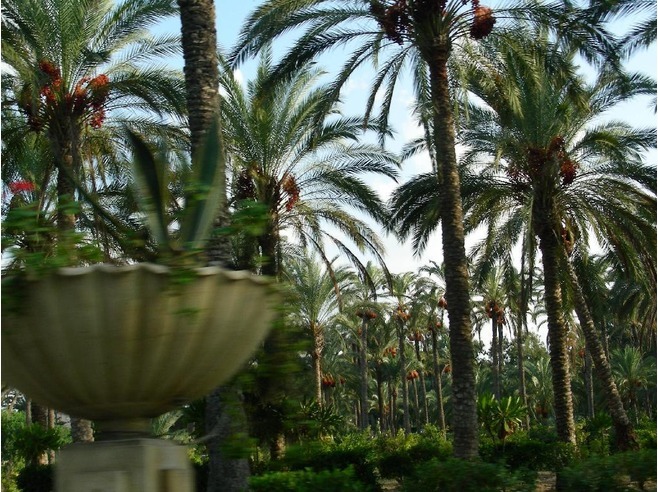 Swathes of agricultural land line the roadside, horse-breeding farms are surrounded by gardens, fountains, villas and palatial houses. And of course, the old Rest House is no longer the only game in town. 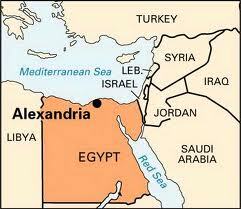 A leisurely drive from Cairo to Alexandria takes about three hours. 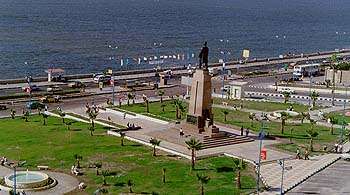 On reaching the city, we headed straight for its heart; to Saad Zaghloul Square, near the main downtown transport terminal Ramleh Station. 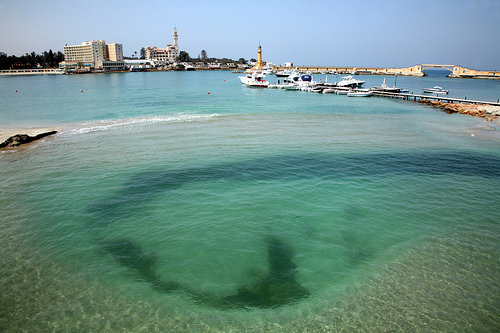 This is the departure point for trips to Qaitbey Fort (where one of the seven wonders of the ancient world, the Pharos lighthouse, once stood) and Al-Mursi Abul-Abbas Mosque, as well as to the resorts of Montazah, Maamoura and Abu Qir. 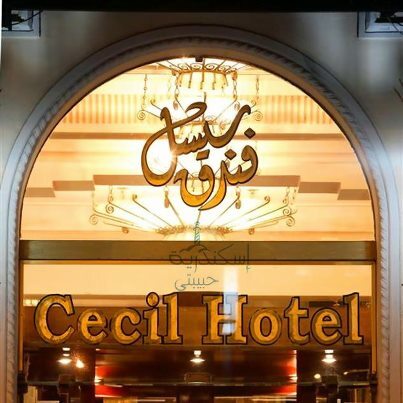 Perched on the corner of Saad Zaghloul Square and commanding an uninterrupted view of the eastern harbour is the grand old Cecil hotel, a Moorish style building established in 1929. 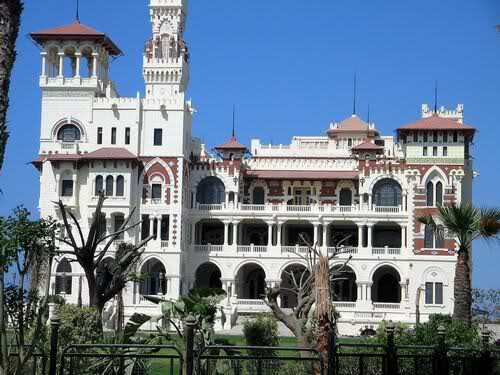 The architecture is reminiscent of the eclectic style of Alexandria’s 19th- and 20th-century cosmopolitan period. 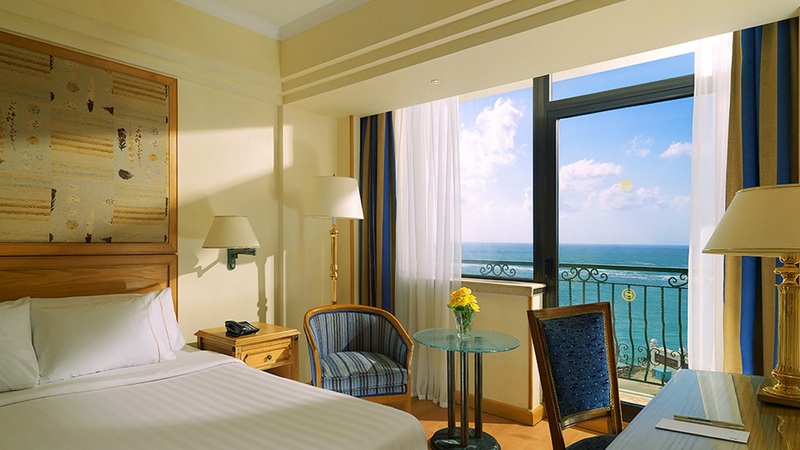 I had long dreamed of staying at this former seat of lavish extravagance and fancied the idea of spending a few nights in a place that has figured prominently in modern Alexandrian lore. 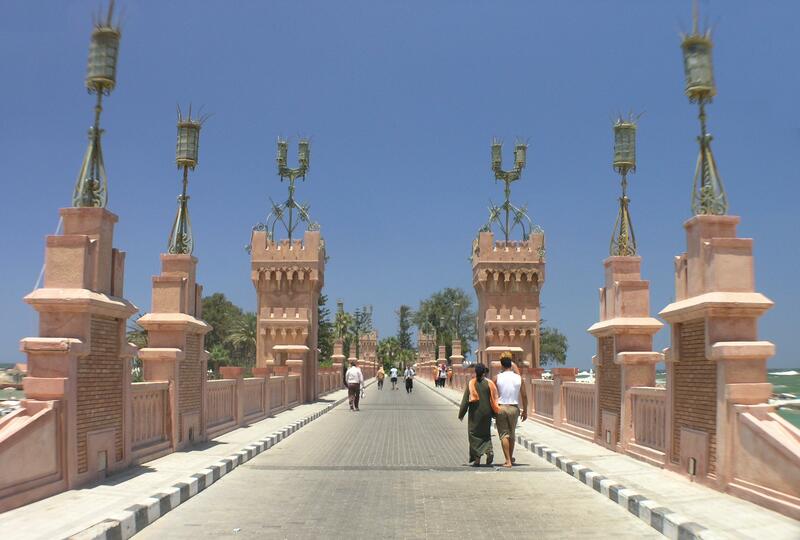 At the turn of the 20th century, Alexandria was home to an extensive population of Greek, Italian and other European expatriates, and the culture was decidedly Mediterranean in style. The legacy of this era, in which some of the most celebrated writings about Alexandria are set — Lawrence Durell’s The Alexandria Quartet, the work of Greek poet Constantine Cavafy and Naguib Mahfouz’s novel Miramar — is still palpable in modern-day Alexandria, deftly blended into more familiar signposts of urban Egyptian life: the souqs (markets), cafés, restaurants and hotels. 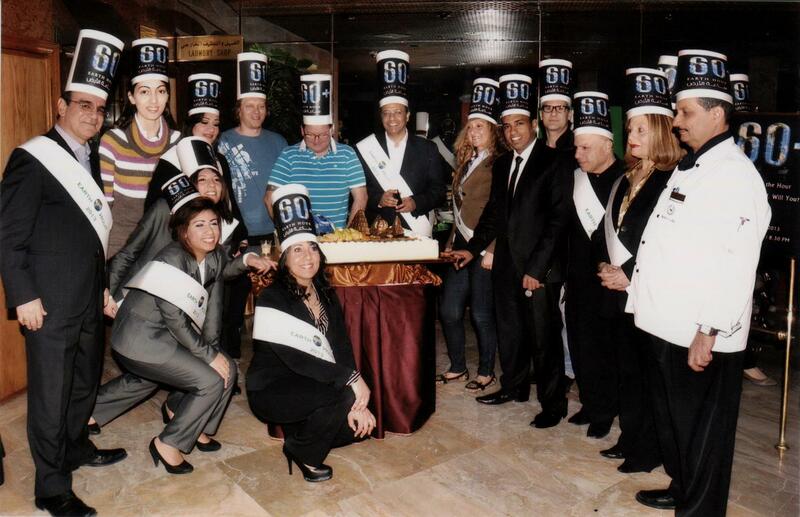 Even the residents are inimitably formed of this hybrid of cultures. 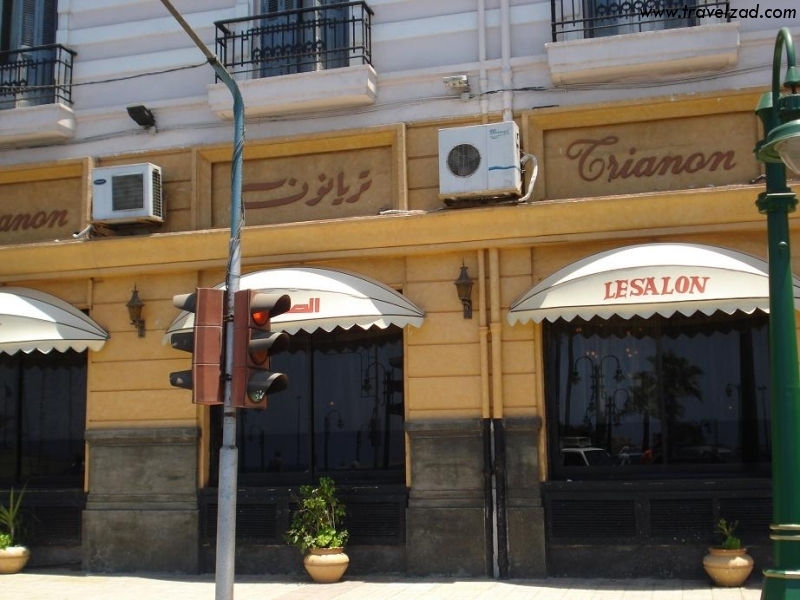 It is reflected in well-known buildings that have become Alexandrian institutions like the Cecil and Metropole hotels — both of which can boast an impressive roster of former guests — and legendary cafés and patisseries like the Grand Trianon, Délices and Athineos. Distinguished guests from King Faisal of Saudi Arabia to the likes of Noel Coward and Somerset Maugham have lingered in the Cecil’s quarters. 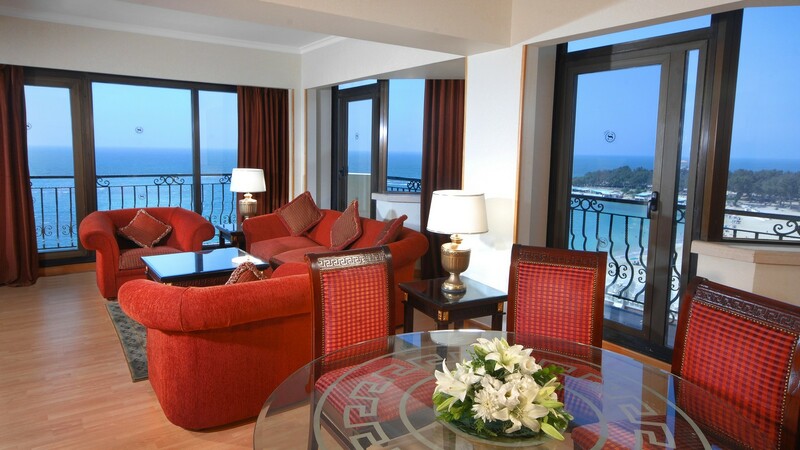 The hotel is now affiliated with the Accor Group and has seen some ambitious, but bland restoration and refurbishing schemes. 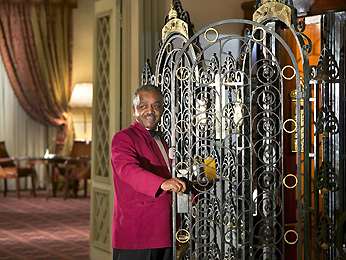 Still, the place maintains its historic sense of grandeur and has preserved some pleasant old-style features, like the old-fashioned lift and the lobby’s opulent setting. 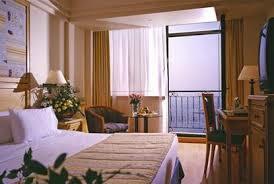 The rooms, however, are another story altogether and did not hold up to my expectations. 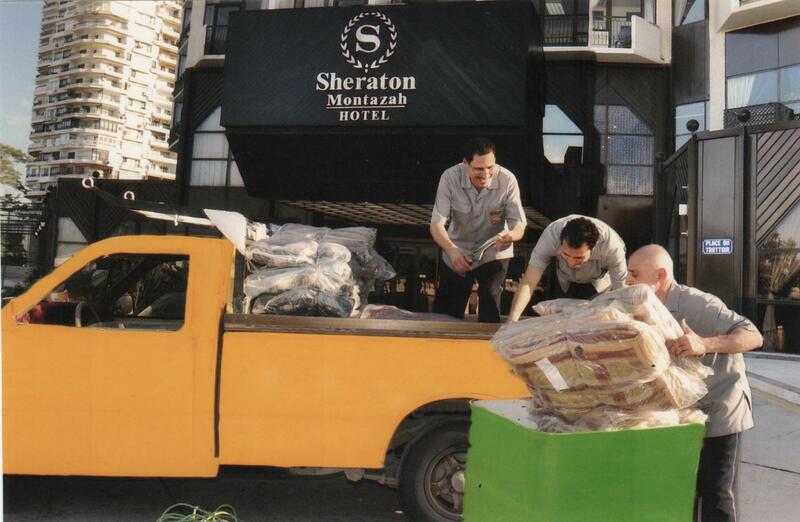 Frankly, there was nothing special about them — I felt I could be anywhere, in any hotel, and not in such a historic place. This nondescript characteristic is sadly pervasive in the hotels of Alexandria, which often pale in terms of high-quality service in comparison to hotels in Cairo and Red Sea resorts. 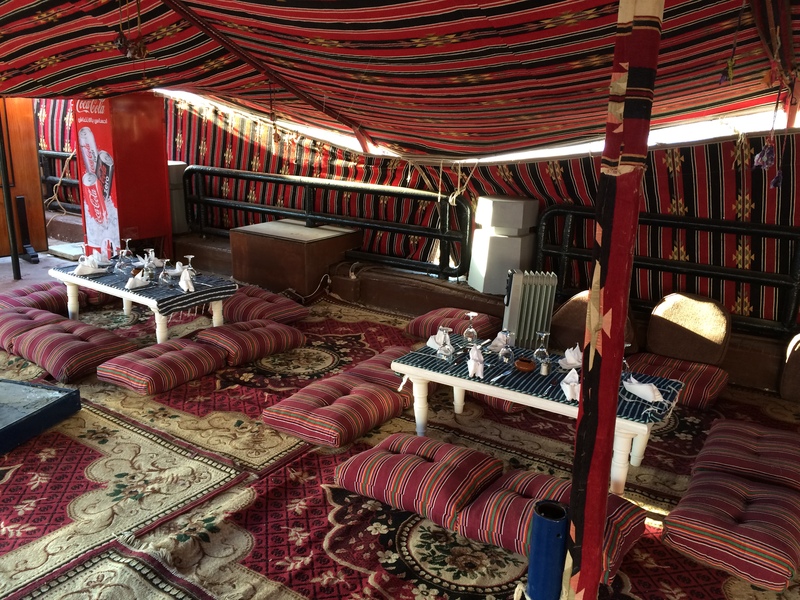 After a generous and meticulously prepared buffet breakfast, we set out the next morning for Al-Nozha Gardens, lovingly set up by Khedive Ismail. 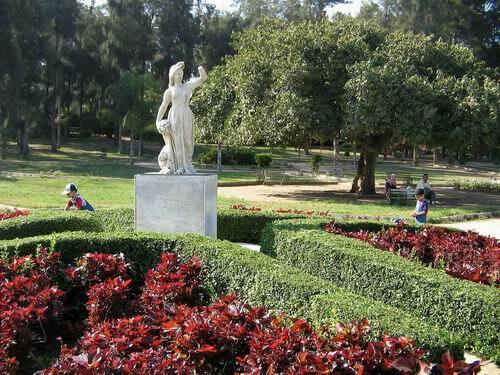 Roughly three kilometres southeast alongside the Mahmoudiya Canal, the well-maintained gardens are joined to another park known as the Rose Gardens, as well as Alexandria’s zoo. 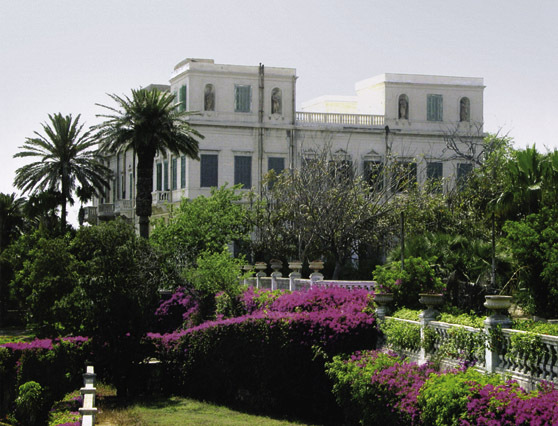 Nearby are the gardens and palace of a wealthy Greek family built in the late 19th century. 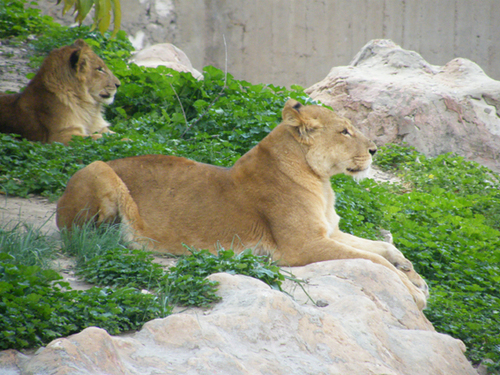 We started with the Zoological Gardens, another turn-of-the-20th-century project covering some 26 acres. Unfortunately, most of the cages were empty and even those which were inhabited were in deplorable conditions. The place is a popular spot for locals, but the large area allocated for recreation was crowded and the noise intolerable. We made a quick exit and headed for the Rose Gardens, established in 1920. This garden is supposed to offer wonderful species of roses and flowers that are planted in 32 nurseries, but when the gardener found us profoundly disappointed, he explained that winter is not the time to find any remarkable flowers. In spring and summer, he said, the place is a botanical paradise. Undaunted, we approached the jewel of the Nozha garden complex — the grounds of the Antoniaidis family. A billboard hung on one of the trees announced that the gardens were built by John Antoniaidis in 1860 and given as a gift to the township of Alexandria in 1918. The gardens house 350-year-old trees and classical Roman statues. 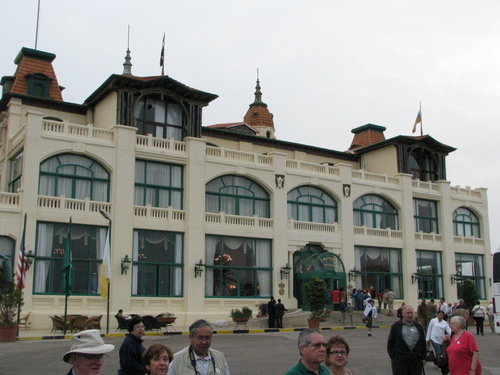 The palace, built to host the royal friends and acquaintances of Antoniaidis, has sheltered such historical figures as Khedive Tawfik and the former Shah of Iran, Reza Pahlavi, who honeymooned here with his Egyptian wife Princess Fawzeyya. Though the palace’s private gardens are both lush and striking, they are not open to the public. 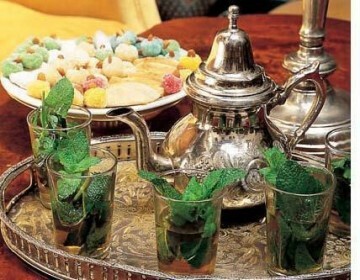 After a tour of the grounds at Al-Nozha, you’re going to feel pretty hungry. I was full of suggestions for seafood — the Fish Market, Sea Gull, Qadoura — but my husband vetoed all these in favour of what he confidently proclaimed the “best place in Alexandria.” We slipped along the winding backstreets over to Manshiya Square, to a no-frills local spot called Shaaban, near the famous coffee shop of Al-Borsa. The area was once populated with bars and famous in the time of Word War II as the best place for British soldiers to grab a beer. 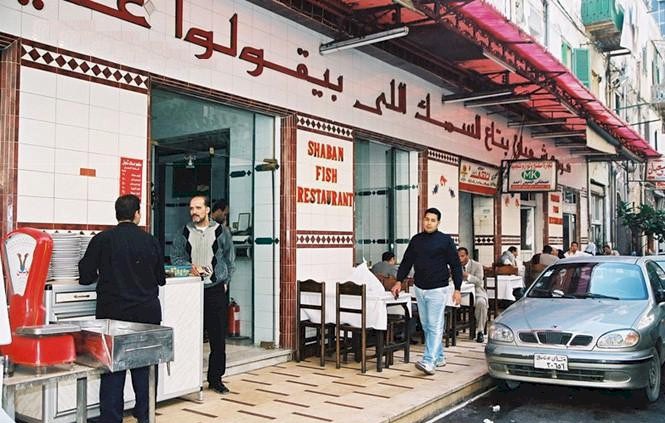 For you, the spot is first-rate for Shaaban’s fresh fish and reasonable prices. Our meal of fried and grilled fish, calamari, shrimps and salads came to about LE70. From Shaaban, we took our dessert at the Grand Trianon café — my favourite for sweets or a light meal. 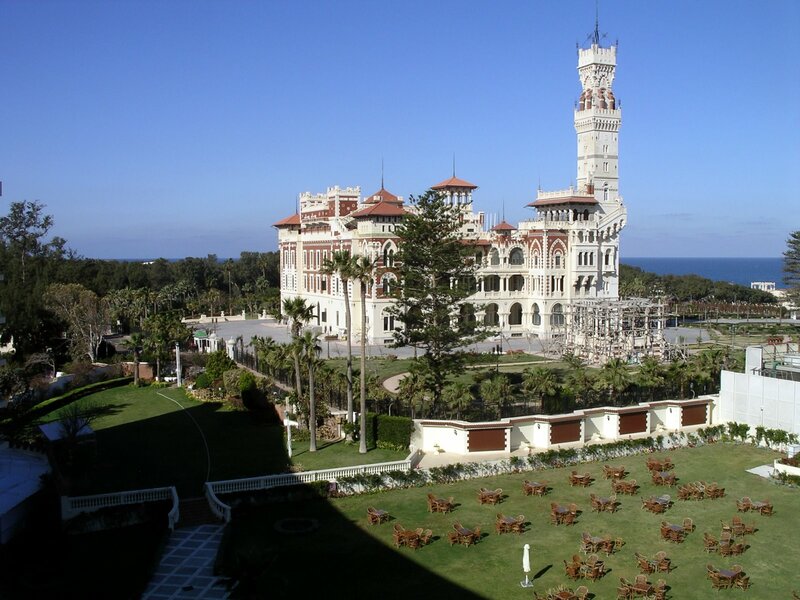 An ideal spot to sit and watch the world go by, the Trianon is situated at the base of one of Alexandria’s most stunning hotels, the Metropole. 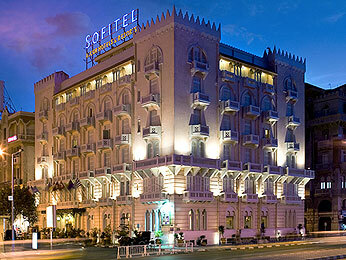 Recent refurbishments have restored the Metropole to its former glory, with sumptuous saloons and an elegant reception. The building was once the headquarters of the Division of Irrigation, where the Greek poet Constantine Cavafy worked. 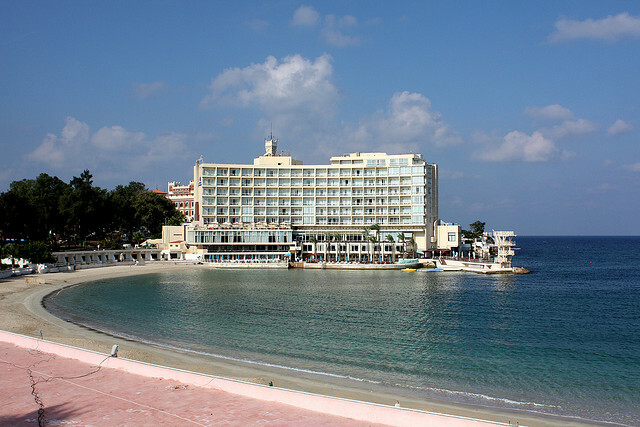 As we packed our things and loaded up the car the next day, I realised that our stay had been more of a foray into daily Alexandrian life than a typical tourist visit. 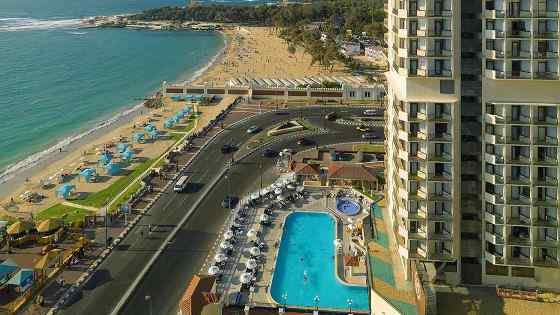 While the ancient sites and the famous beaches on the outskirts of Alexandria are well worth visiting, the city itself should not be overlooked. 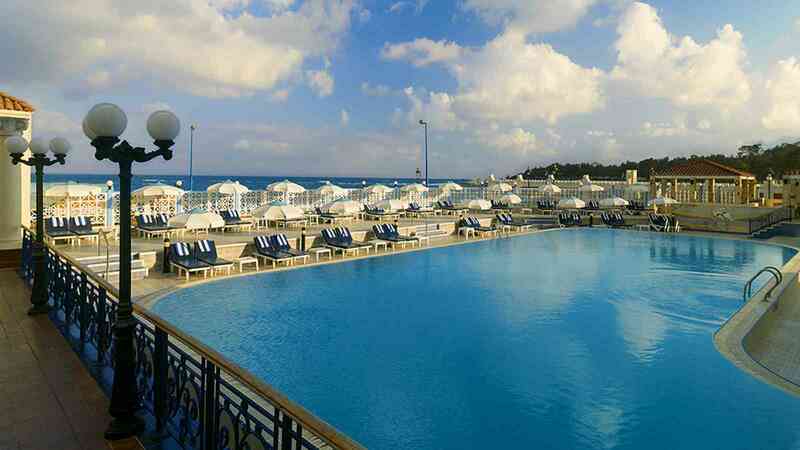 Easily accessible from Cairo and only a few hours away, a taste of the Alexandria winter is a welcome change of scenery and a dip into this city’s distinctive atmosphere.